We would really like you to join us. Junior Church is held most Sundays during term time. We meet in the Memorial Hall (just across the road from church) between 9.30 am and 10.30 am. Children as young as 3 and up with parents, helping children grow in the family of God. The Junior Church leaders are Sarah Potts, Anna Stapleton, and Claire Chetwyn-Allen. 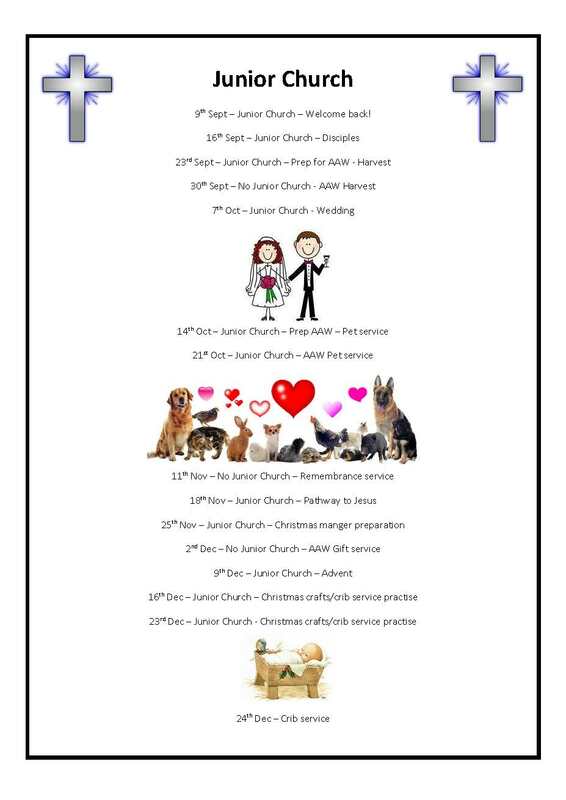 ​Please contact All Hallows church office for more information. Ancora is a city where the Bible stories have been forgotten- only the Guardians (children) can go into the past, live the adventure, and save the city by bringing the stories back. Share your faith with children in a way that makes it fun and easy to understand by becoming a Champion of Ancora. As a Champion you will be fully supported with promotional materials, best practices and news on how you can reach children in your local community and schools using Guardians of Ancora.